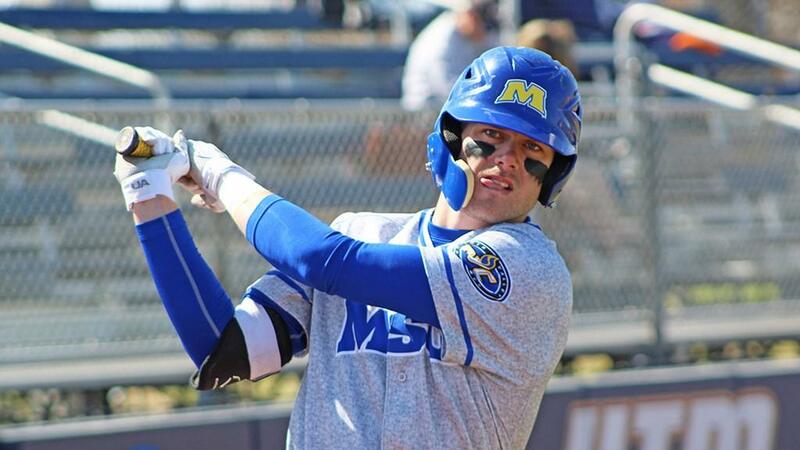 Morehead State's senior left-fielder Jake Hammon has been voted the Ohio Valley Conference Baseball Player of the Week. Over a quartet of games last week, the Smyrna, Tenn., native hit .529 with eight RBI, two home runs, five runs scored and a .941 slugging percentage. He opened the week Tuesday with a pair of hits at Ohio, then erupted for seven hits and all eight of his RBI in a series sweep over visiting SIU Edwardsville. Hammon slugged a three-run homer in Saturday's opening game and also had a sac fly later for four RBI and clubbed a two-run homer in the second game against SIUE. On the season, Hammon currently leads all MSU field players with a .392 batting average to go along with a team-high eight doubles. He is the fourth different MSU player to earn an OVC weekly honor in 2019 and the second in as many weeks, joining teammate Connor Pauly who was the league's top choice for Player of the Week last Monday. Morehead State junior right-handed pitcher Jason Goe was virtually untouchable Sunday at UT Martin, and his effort has earned him Ohio Valley Conference Co-Pitcher of the Week. A 6-foot-3 hurler from Dry Ridge, Ky., Goe struck out a career-high 13 batters in the Eagles' 6-2 victory at UTM and didn't walk a batter while only surrendering two hits. His honor is the third league weekly award for the program this season, and he is the first Eagle to be named Pitcher of the Week this season. For the second consecutive game, Morehead State's pitching staff recorded double digit strikeouts as the Baseball Eagles fended off Alabama State 7-4 Wednesday for the team's sixth consecutive victory. "It was a good homestand, very pleased with it," said head coach Mike McGuire.